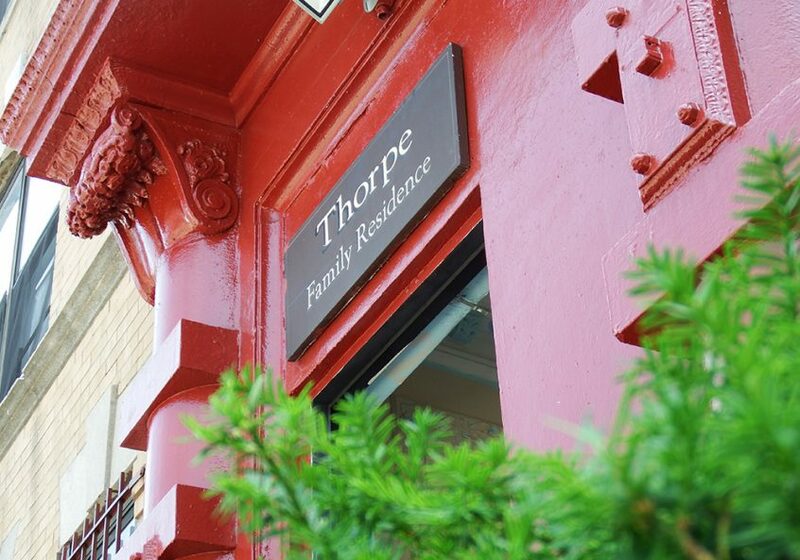 When the clock struck midnight on January 1, 2016, Nazareth Housing Inc. officially absorbed Thorpe Family Residence, Inc. into its portfolio of housing services. The Board of Directors, Executive Director and Staff of both organizations were pleased to welcome the New Year with the announcement of the finalization of the merger, a culmination of a multiyear process of preparation and alignment of programs. Since July 2013, Nazareth Housing has managed the various projects of Thorpe including emergency family shelter, supportive housing, domestic violence prevention, and food security. The highly respected work of Thorpe is strongly aligned with the mission, vision, and values of Nazareth Housing. With nearly 22% of its historic clientele from Bronx communities, the addition of housing sites and service locations enhances Nazareth Housing’s capacity to respond to the growing challenges in housing and economic stability experienced by low-income households. The Joint Merger Committee, with Board Members from Nazareth Housing, Thorpe Family Residence and its sponsoring organization, the Dominican Sisters of Sparkill, worked on the details of the merger during a multiyear deliberative process. Debevoise and Plimpton LP provided pro bono legal service to the process for Nazareth Housing. The integration of Thorpe staff and programs over the past two years into Nazareth Housing as the surviving organization ensures the sustainability and success of Thorpe’s historical mission in the Bronx communities it has served since its founding in 1985. Nazareth Housing is a 501(c)(3) not-for-profit and non-sectarian organization providing supportive and low income housing, homelessness prevention services, urgent needs assistance, and emergency family shelter. Nazareth Housing was incorporated in 1983 under the leadership of founder Sr. Marion Agnes Daniel’s innovative spirit to reclaim safe and secure housing in the Lower East Side. More than thirty years later Nazareth Housing continues to deliver social impact in the Lower East Side and the Bronx. Nazareth Housing is a HUD certified housing counseling agency, and the only HUD certified agency in New York City that works exclusively with low-income and fair housing rental issues. For more information, visit www.nazarethhousingnyc.org.